This sweet basket is the perfect size for a desk top or end table. We comine a selection of Lavender and purlps colored flowers for a soft and feminine look. 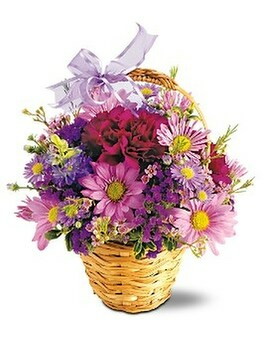 This is a Colonial Flower Shop exclusive and is not available out of our delivery area.